Cassidy & Ashton has been providing architecture, building surveying and town planning services since 1960. 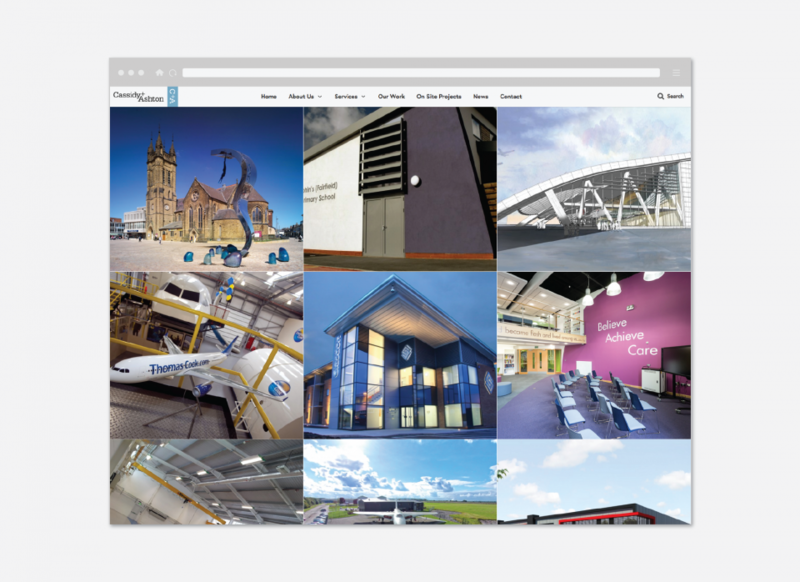 They came to us requiring a new brochure website that would be used as their main selling tool for new clients and to show existing clients the projects that they have recently undertaken. 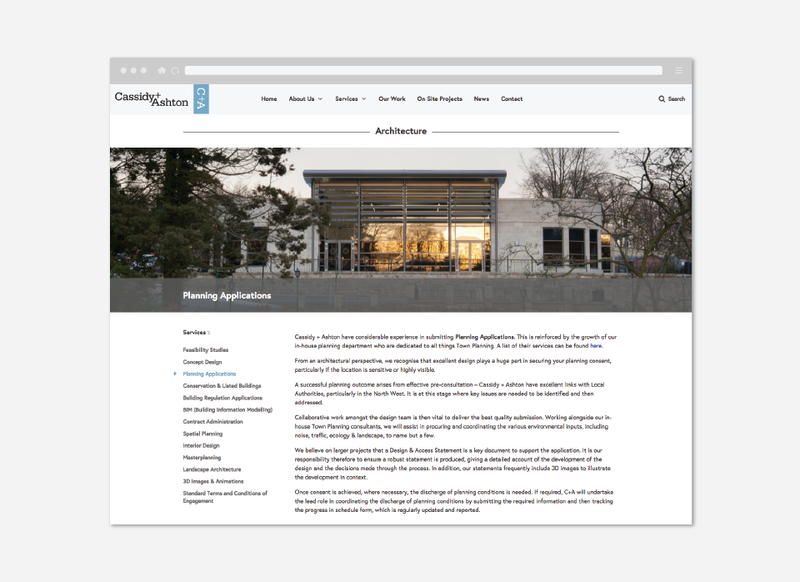 After having several meetings with Cassidy & Ashton, it became clear that the website needed to be very visually-focused. 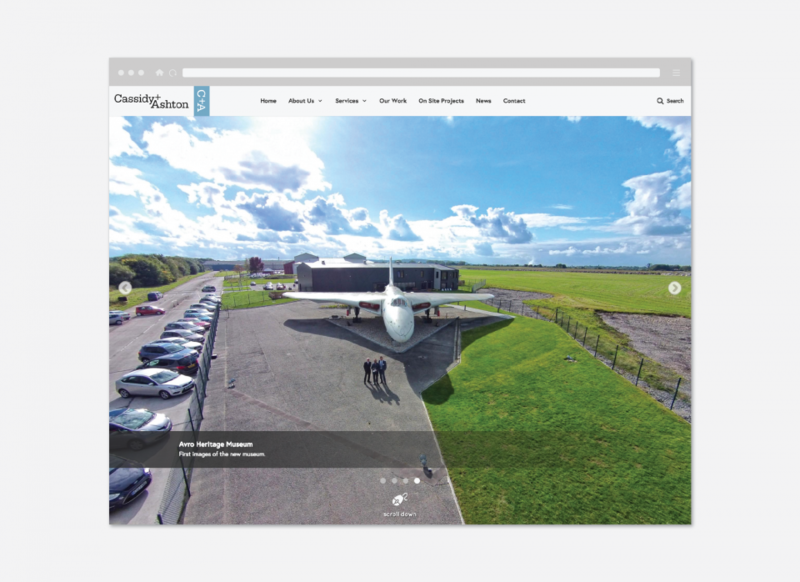 We designed a bespoke WordPress website, with a fully integrated backend. A special feature of this site was to allow the integration of Google Maps, indicating all the projects across the UK that the company had completed. This was highlighted with a pop-up image and description of the case study. 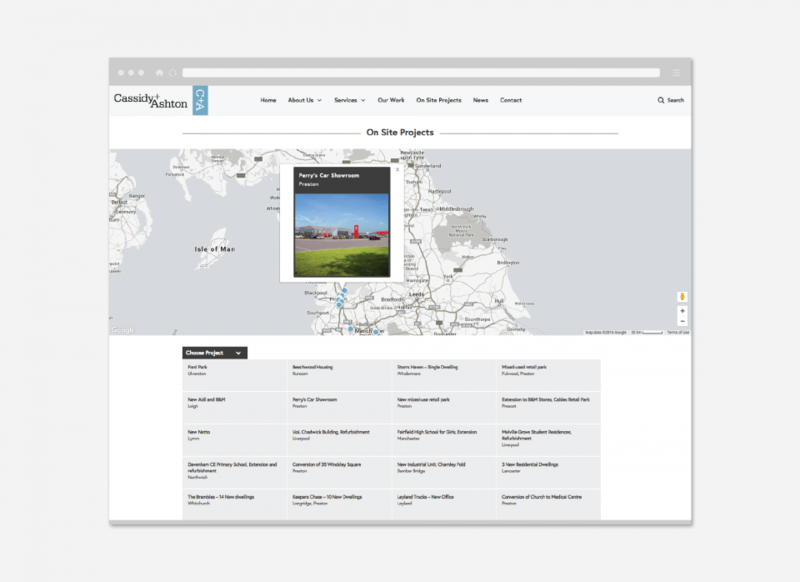 This showed potential clients the large variety and scope of the projects across the UK.